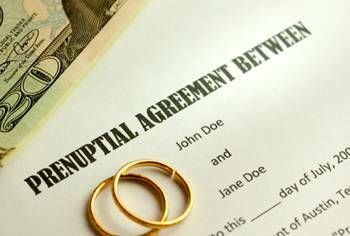 Over the years, there has been a fair amount of negativity associated with prenuptial agreements. When family members learn that their loved one has been asked to sign an agreement before marriage, they often see that as red flag and quickly turn against the person requesting it. In reality, a prenuptial agreement isn’t a signal of guaranteed divorce, but rather, it is an agreement that can make a divorce much faster and easier in the event that the marriage has to end. Unlike what you may see on TV or in the movies, a prenuptial agreement isn’t always predicated on feelings of greed and selfishness. At Gerkin & Decker PC, our experiences have shown us that many of the couples who request our services for a prenuptial agreement appear, and often are, just as deeply in love as most people preparing for marriage. In fact, divorce is usually the last thing on their minds, and they view the prenuptial agreement as a sign of upfront communication and their respect for one another. A prenuptial agreement isn’t designed to promote a divorce, but it can make the process much easier to go through in the event that a couple has to split. Instead of battling each other in court in order to keep certain possessions or amounts of money from the marriage, they can look to the previously signed agreement, dissolve their marriage in a fast and efficient manner, and begin to heal from the damaging effects of a failed relationship. If you’re a man who’s getting ready for marriage and you’re considering signing a prenuptial agreement, it’s important to remember that you’re preparing for the possible and not planning for the inevitable. Our family law attorneys can help both you and your future spouse gain a full understanding of the implications of the prenuptial agreement, complete it quickly, and ensure its legality so that you can file it away and hopefully never need to use it. But, if you do find yourself facing a divorce, you can count on us to help you navigate through the process as easily as possible. Contact us today to request a consultation!